Associate Professor of Business Administration, Dr. Garry Rollins, will present his paper, “Preparing Students to be Salt and Light in the Growing Multicultural Workplace,” at this year’s Christian Business Faculty Association Conference, hosted by Anderson University in Indianapolis. 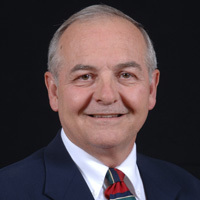 Chosen from among numerous entrants, Dr. Rollins’ presentation will be included in the conference’s electronic proceedings prepared by Anderson University. Dr. Rollins began at Belhaven in 2002 and has had numerous academic articles published since joining the faculty. He has also made presentations across the southeast emphasizing the importance of Christian values and ethics in the business world.